Want to take your Australian based business online but are confused with all the technical jargon being thrown around, then let’s simplify it. You first need to have a business name which is could be as simple as www.yourname.com. But now comes the second part putting this website in place so that everyone in the world can see it on the internet. 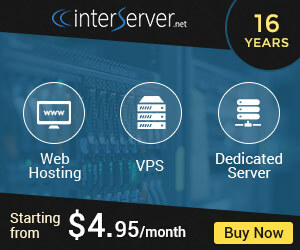 This is the process of web hosting. 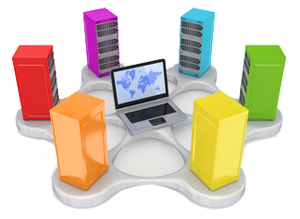 Australian web hosting companies have servers on which you can rent space and bandwidth to store your website. Finding a decent web host might take some time though, unless of course you search for a few top 5 lists of the best hosts in Australia. Luckily for you, that’s just what we’ve got for you, here you go! Also, these Australian web hosts can also help you manage your website. Is it a reliable company with proven track record? Check customer reviews and speak to others in your business community or online before shortlisting any company. What sort of guarantees is it giving? One thing that is important is the guaranteed up time, or the % of time any customer will be able to access your website at any point of time. Look for companies which offer at the very least 99.9% uptime guarantee. They should also have a reliable back – up plan. Does it have 24X7 help line? Most reputable companies have these. It is also important to ensure that they can speak in English and have people who work out of Australia. This is not because it is patriotic, it is practical. You don’t want to be in a situation where your site is facing a problem and your hosting company business hours are ahead or behind your timing (especially true if your hosting company is based out of US). Where is the server? If your business is serving customers only in Australia a server based inside Australia is faster though a little more expensive. Data Storage volume: Most business can do with a minimum amount of data storage, bit if your business requires a lot of video and pictures then look at costs of up gradation. Data transfer limits: Similar to the maximum download capacity you have with your internet provider; your web hosting company may put limits on the amount of data that is transferred out to your customers. Avoid such companies. Bandwidth: This is the speed at which your information flows to your customer, most basic business again do not require high bandwidth unless you have video and pictures. You also need to consider if this bandwidth is meeting your spike (a point in time when a lot of your customers come in at the same time) requirements. Also look at up gradation plans; some companies tend to make profit off of this. At the end of the day, a good amount of research and a little bit of common sense will make web hosting in Australia a little bit easy for you.